Hogback gift cards make great presents for any time of year! Use them as you get them, or save them up and use them all at once. Great for the player who has everything! Themed gift cards are now available, including Birthday and holiday images. Gift cards are available in $25.00, $50.00 and $100.00 denominations. 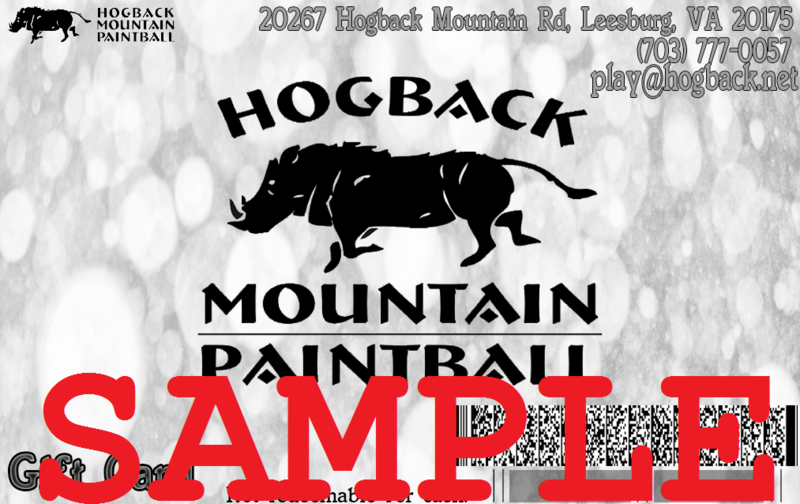 They can be used to pay for anything at Hogback, such as admission, paint, or lunch. Not redeemable for cash.